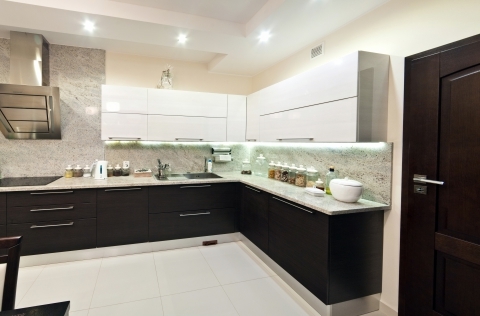 Remodeling your kitchen can be an excellent way to invest in your home. Instead of spending hours researching DIY home improvement websites, consider hiring a professional home remodeling company to assist you in creating the kitchen of your dreams. If you live in Lake Jackson, TX, and are considering a small or large scale renovation, Branson Enterprises can help turn your kitchen into the centerpiece of your home. While you may feel capable of renovating your own kitchen, or hiring your cousin’s-friend’s-brother to get the job done, it’s always best to hire a professional. By hiring a dependable kitchen remodeling company with decades of installation experience, your dream kitchen can come to life. If you hire an inexperienced kitchen remodeler, they may not know all of the essentials, and might lack knowledge of the latest parts and materials available. With a well established remodeling company, they will have instant access to a variety of modern accessories available, thanks to years of supplier relationships. While many inexperienced handymen tend to learn on the job, home renovation projects can drag on well past your initial expectations. Hiring a dependable kitchen remodeling company will ensure a fast and proper install the first time, so you don’t end up making costly mistakes on your own. One of the biggest benefits of remodeling an old kitchen is that it can increase the market value of your home. A well renovated and organized kitchen is much more appealing to potential homebuyers. If you’re ready to make your dream kitchen remodeling project a reality, contact the professionals at Branson Enterprises today or browse our gallery of before and after renovation photos. We specialize in porcelain tile and granite kitchen remodeling, with expertise in sheetrock, texturing and paint and rotten wood repair.